One of my goals is to be more intentional in spending quality time with my kids. They're all growing up so fast and I don't want to have any regrets that I didn't make a point to enjoy them at each stage of their lives. This weekend, 5 year old Liam and I made several fun memories together playing with his new Disney Pixar Cars toys and the Cars Daredevil Garage app. We enjoyed a fun craft and some snacks that we made together. We even made a short video. It's been a great weekend! 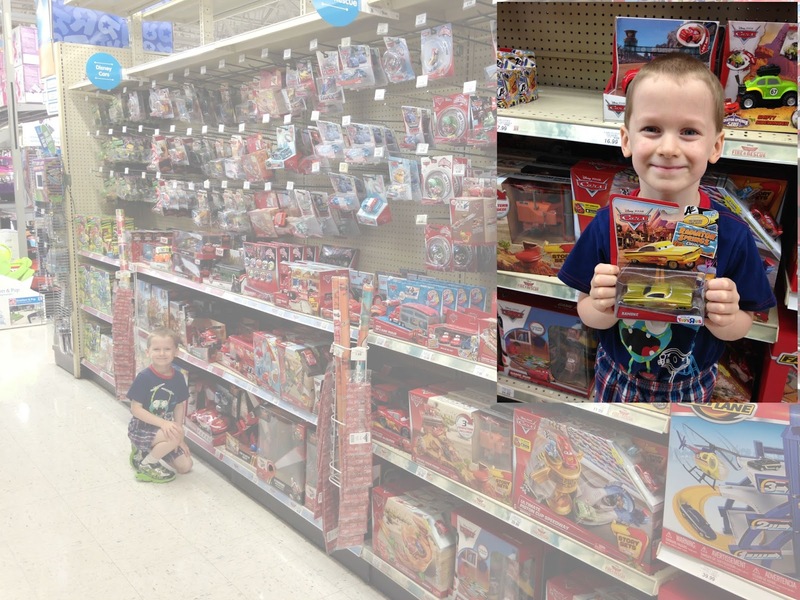 Liam and I shopped at Toys "R" Us for some fun Cars toys. We found two die-cast cars, Ramone and Lightning McQueen, as well as the Route 66 Speed Trap Launcher. The launcher can be attached to some of the other pieces in the Radiator Springs Story Set series to make a whole play town for kids to enjoy. One of our favorite parts of the Cars movie is when Lightning McQueen takes his drives in the desert. 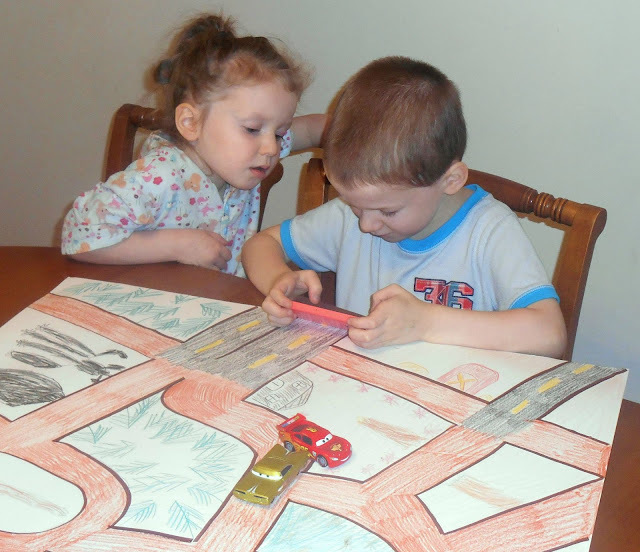 We drew a desert scene on a piece of poster board with lots of dirt roads for Lightning and Ramone to drive on. I found that using a drafting compass helped me keep the roads looking (somewhat) neat and proportionate. Liam colored in a house, some horses, and several trees, while I added sagebrush, pine trees, and a barn. 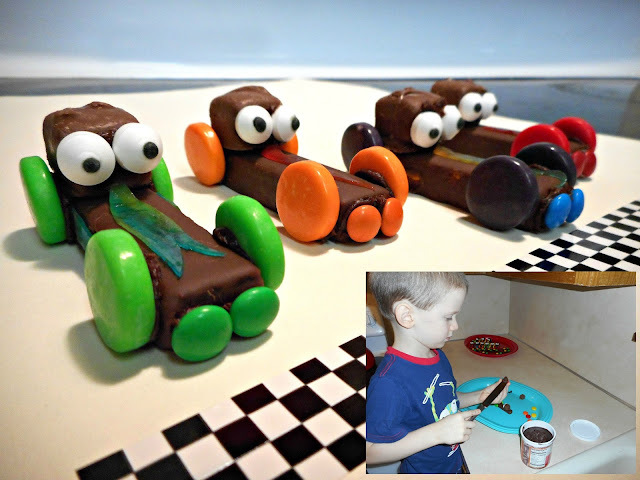 On Saturday, Liam and I made some race car and stoplight cookies using fudge covered creme wafers, frosting, and candy. He loved the addition of the candy eyes as it made them look like Cars characters. 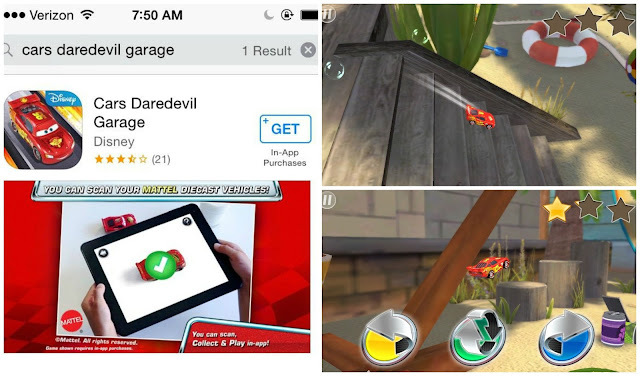 This morning, as we were getting ready to make his tutorial video, I introduced Liam to the Cars Daredevil Garage app. It's available in the Apple iTunes store as a free download for iPhone, iPad, and iPod Touch. 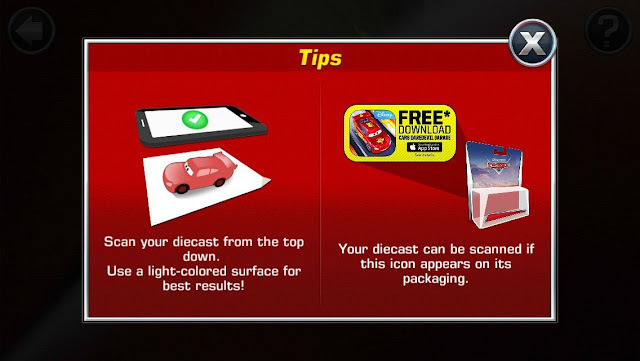 It's a fun way to build a virtual car collection and send them twisting, jumping, and turning on a fantastic race to the finish line. 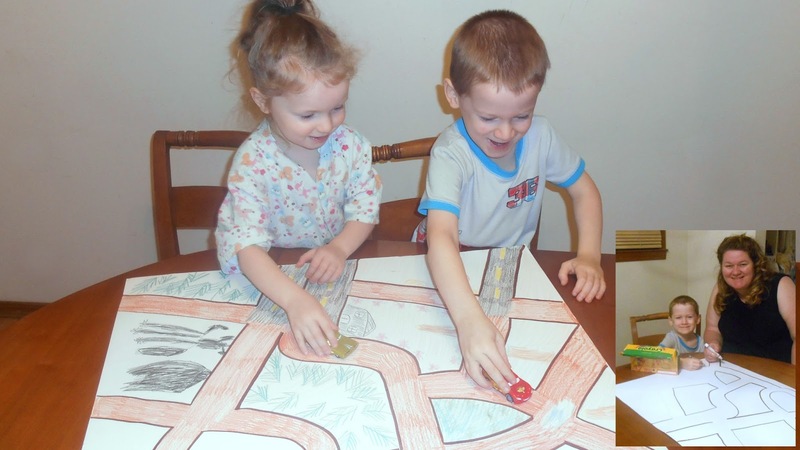 My favorite part is using the yellow, green, and blue buttons to make the cars do awesome stunts. You can also scan die-cast cars from purchases with the special "free download" sticker and add them to your virtual collection. The memories we made this weekend are so special to me and I know they are to Liam, also. Make sure to check out his little tutorial on using the Route 66 Speed Trap Launcher and then let me know how you make inside play fun for your kids. Thank you for letting us share these special memories with you. The cookies look great!